Faculty of Veterinary Medicine,Universiti Putra Malaysia, 43400 UPM Serdang, Selangor, Malaysia. Abstract | Plasmodium knowlesi is a malarial parasite which is found in macaques (long-tailed and pig-tailed). Since 2004, humans infection with malaria holds a key focus throughout Southeast Asia and in Malaysia specifically. P. knowlesi is one of the major five species of Plasmodium which can cause malaria in humans. Identification of different species of Plasmodium can only be confirmed with molecular detection techniques. Researches provided ample evidence of human infections with P. knowlesi and concluded it zoonotic in nature. P. knowlesi infections may lead to a variety of diseases and can be fatal if not treated in time. This review is focused on the occurrence of P. knowlesi among macaques in Malaysia. Citation | Lee CL, Shah MK (2018).A review of plasmodium knowlesi among macaques in Malaysia. Adv. Anim. Vet. Sci. 6(4): 169-175. Copyright © 2018 Lee and Shah. This is an open access article distributed under the Creative Commons Attribution License, which permits unrestricted use, distribution, and reproduction in any medium, provided the original work is properly cited. Malaria is a disease of public health significance, caused by the blood protozoan parasite Plasmodium and is transmitted by the Anopheles genus of mosquito. The parasite causes infections in humans and a wide range of animals (Ramasamy, 2014). Malaria among human is prevalent in tropical and sub-tropical regions, including Asia, Africa and South America (World Health Organization, 2014). According to World Health Organization (WHO, 2014), in 2013 malaria was found in 97 countries around the globe, affecting 3.2 billion people. Approximately 584,000 deaths were recorded of total 198 million reported cases of malaria. Death cases under 5 years old children were 78% among total 90% of the deaths reported in the African region (WHO, 2014). In 2013, approximately 352 million residents in Southeast Asia from 10 countries are living at high risk with recorded 776 death cases. The highest death toll was reported in India at 58%, followed by Myanmar (22%) and Indonesia (16%) (WHO, 2014). Among 400 different species of Anopheles mosquitoes, 30 species are considered important vectors for malaria (White, 1982; Connelly et al., 1990). There are over 250 species of Plasmodium described as source of infection in a number of different hosts including reptiles, rodents, birds, primates and other mammals (Rich and Ayala, 2006; Ta et al., 2014; Ramasamy, 2014). Various studies on Plasmodium parasites have been carried out to identify its infection in humans. Among them, five species were identified to be commonly found in humans, which includes P. falciparum, P. vivax, P. ovale, P. malariae and P. knowlesi (Table 1) (Chin et al., 1965; Singh et al., 2004; White et al., 2014; Ta et al., 2014). According to Kantele and Jokiranta, (2011), wide range primates including apes, lemurs and monkeys are infected by over 30 different Plasmodium species. Among non-human primates, macaques are found to carry most of the Plasmodium species, namely, P. fieldi, P. knowlesi, P. coatneyi, P. inui and P. cynomolgi (Coatney et al., 1971; Fooden, 1982; 1994; Lee et al., 2011). Of all the non-human Plasmodium species, macaques are recognized to carry most of the Plasmodium species compared to any other non-human primate genus. Seventeen species of non-human Plasmodium species are prevalent in Asia (Collins et al., 2004). Found worldwide including tropical and subtropical areas, specifically in Africa. Due to its rapid multiplication in blood it may lead to severe loss of blood and cause anemia. The complications may be fatal in case of clogging of small blood vessels in brain which leads to cerebral malaria. P. vivax is identified as the most prevalent human malaria parasite in Asia due to high population density in this region. It is also predominant in some parts of Africa and Latin America. It may become active in the liver from dormant stage (“hypnozoites”) and relapse may occur from several months up to several years after the bite of infected mosquito. It is more prevalent in Africa and Western Pacific Islands. The main difference from P. vivax biologically and morphologically is its infection in non Duffy blood group individuals. Sub-Saharan Africa residents are mostly the carrier of this blood group that is, Africans are more prevalent to P. ovale. P. malariae unlike other Plasmodium species are found worldwide. It has a quartan cycle while other species have couple of days cycle. P. malariae may lead to serious complications like nephrotic syndrome in some chronically infected patients. It may also cause chronic infection which may lead to lifetime infection if untreated in time. Southeast Asia is the most prevalent zone for P. knowlesi pathogen of macaques (long-tailed and pig-tailed). It is one of the major cause of zoonotic malaria within Malaysia and surrounding countries. It can be fatal due to its 24-hour replication cycle and rapid progression which may cause uncomplicated to severe infection. Adopted from Centers for Disease Control and Prevention (2014). In Malaysia, three main non-human primate species are considered to be infected by the above mentioned species of Plasmodium, which are Macaca fascicularis (Long-tailed), Presbytis femoralis (Banded Leaf monkey) and Macaca nemestrina (Pig-tailed) (Coatney et al., 1971; Fooden, 1994; Lee et al., 2011). Macaques may get infected with one or more Plasmodium species, being mostly benign in nature without showing its clinical signs (Coatney et al., 1971). The transmission of P. knowlesi (Antinori et al., 2013), P. cynomolgi (Ta et al., 2014) and P. inui (Coatney et al., 1966) to humans through Anopheles mosquitoes proves its zoonotic nature and importance as a public health concern. P. knowlesi can be fatal in case of severe clinical malaria (Cox-Sing et al., 2008). The increase in number of identified cases is due to the availability of better diagnostic tools and the increase in transmission of P. knowlesi from macaques host to humans via mosquitoes (Divis et al., 2015). Its symptoms among humans may be found similar to other malaria parasites (Moyes et al., 2014). Variations in occurrence and transmission of disease may occur due to human activities in forests, increase in industrial wastes and the changing landscapes in the country. The spatial distribution patterns of both mosquito vectors and macaques plays a role in the transmission of the disease (Singh and Daneshvar, 2013). Plasmodium needs two different hosts to complete its life cycle; the vertebrate host (intermediate) and the invertebrate host which is female Anopheles mosquito. The infection initiates with the inoculation of sporozoites into the blood stream of vertebrate host due to the bite of an infected female Anopheles mosquito. After travel to the liver of vertebrate host, the sporozoites invades the hepatocytes and undergo an exoerythrocytic phase where they extensively replicate asexually known as primary schizogony, as a result of which exoerythrocytic schizonts are produced containing many merozoites (Cogswell, 1992; Thayer, 2005). After the release of these merozoites, they invade into the erythrocytes within the bloodstream of vertebrate host forming uninucleate cells known as trophozoites. Schizonts are produced by the asexual replication of trophozoites in erythrocytic phase which further divide and produce mononucleated merozoites. Merozoites are released as a result of rupturing of the infected erythrocyte, of which some will re-invade other erythrocytes and re-continue the asexual cycle. Some of the merozoites undergo development of gametocytes producing microgametocytes (male) and macrogametocytes (female). Patients will experience fever patterns as a result of releasing toxins into the body by rupturing of the infected erythrocyte, which is one of the common symptoms of malaria infections (Singh and Daneshvar, 2013). Appearance of clinical signs depends on the species of Plasmodium. The time required for the completion of an erythrocytic cycle among different species may vary from 24 to 72 hours (Coatney et al., 1971; Cox, 2010). The gametocytes cannot be differentiated as gametes within the vertebrate host. After extraction of the blood from the host by female Anopheles mosquito, these gametocytes can only be differentiated into gametes. These gametocytes undergo maturation to form microgametocytes and macrogametocytes at the gut of the mosquito, which activates with the presence of xanthurenic acid along-with decrease in temperature. The fusion of these gametes forms a zygote which is a motile and elongated ookinete. The ookinete developed into oocysts by penetrates through the midgut epithelium. More than 10000 sporozoites are produced as a result of repetitive mitotic division within the oocysts. The number of sporozoites produced varies due to difference of Plasmodium species and the surrounding temperature. The sporozoite migrates to haemolymph and accumulate in salivary glands of the mosquito at acinar cells. Afterwards the malaria life-cycle continues in the same manner of targeting a new vertebrate host and inoculation of the sporozoites (Cogswell, 1992; Cox, 2010). Infections of malaria may vary from severe to life threatening illness in each individual which depend upon the host’s immune and species of parasite. Fever, headache, shivering and occasional nausea are the early clinical signs of malaria (Connelly et al., 1990). Since 1990s, microscopy-based technique is highly adopted technique for routine diagnosis of malaria in laboratory. For identification of Plasmodium in non-human primates, microscopy-based technique is universally accepted as gold standard (Warhurst and Williams, 1996; Tangpukdee et al., 2009). Though, the conventional method for identification of Plasmodium is quick, cheap, require less costly reagents and equipment. But to get accurate and reliable results; these methods greatly depend on parasitemia levels, expertise, smearing and microscopy techniques (Tangpukdee et al., 2009; Farrugia et al., 2011). Due to the morphological similarities of some Plasmodium parasites at certain stages of the life cycle in the vertebrate host blood, microscopy may be challenging to differentiate among them. Plasmodium species which show similar morphological features to human Plasmodium species include P. cynomolgi, P. fieldi and P. inuii to that of P. vivax, P. ovale and P. malariae, respectively (Antinori et al., 2013; Singh and Daneshvar, 2013). The performance in malaria diagnostic tests for over two decades have improved extensively. 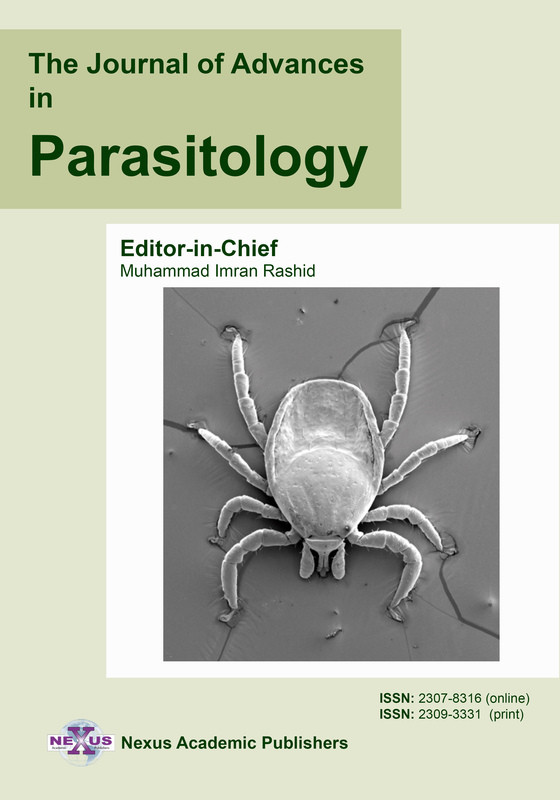 For accurate and specific characterization of the malarial parasites molecular-based identification techniques like PCR have been developed to overcome the difficulties encountering with microscopy-based methods; particularly in cases of low parasitemic level or multiple parasite infections (Steenkeste et al., 2009; Chou et al., 2012). During epidemiological studies and in case of sudden malarial outbreak, due to high specificity and sensitivity nested PCR assay can be the best choice for detection of malarial parasites in dried blood spots and among malaria sporozoites in mosquitoes (Hasan et al., 2009).Other PCR-based amplification assays for identification of malaria include multiplex PCR (Kho et al., 2003; Patsoula et al., 2003), real-time or quantitative PCR (qPCR) (Rougemont et al., 2004), and loop-mediated isothermal amplification (LAMP) (Han et al., 2007). These methods are simpler, less time consuming, less labour intensive and better quantitative diagnostic tools in comparison to nested PCR (Canier et al., 2013). These techniques are more reliable for accurate species detection (Erdman and Kain, 2008) and also can be a helpful tool in identifying drug-resistant parasites and follow-up therapeutic response (Berry et al., 2008; Tavares et al., 2011).Though PCR techniques are highly specific and sensitive for the detection of malarial parasites but due to its high cost of reagents and trained technician, it is still not being implemented in malaria endemic countries. For the identification of Plasmodium in remote or less facilitated areas, immunochromatographic rapid diagnostic tests (RDTs) were developed for differentiation of Plasmodium species, specifically P. falciparum, P. vivax or both antigens, in a single test kit (Murray and Bennett, 2009). RDTs are user friendly, time saving, economical and do not require any specialized laboratory equipment. There is no specific RDT developed for the detection of P. knowlesi commercially while the existing RDTs used for the identification of P. knowlesi showed incorrect results as tested in blood samples of humans and macaques (Foster et al., 2014; Singh and Daneshvar, 2013).Though the RDT is a rapid tool for the detection of malaria but certain improvements are required for better detection and its accuracy to differentiate between the different Plasmodium species, true results in case of low parasetimia and detection of multiple parasite infections (Moody, 2002; Murray and Bennett, 2009). Due to the above mentioned limitations, other diagnosis techniques are adopted for confirmation and characterization of the infections, and monitoring its treatment regimes. The occurrence of Plasmodium knowlesi among Macaques in Asia is tabulated in Table 2. In a study by Vythilingam et al. (2008), it was reported that 69.3% humans sampled were positive for P. knowlesi. Earlier, via microscopy, it was observed that 83.78% of the samples were P. malaria positive. Nested PCR of P. malaria positive samples revealed 55.86% samples positive for P. knowlesi and 9.91% had mixed infection of P. knowlesi and other human malaria parasites. P. knowlesi positive cases were reported in all states of peninsular Malaysia except Johor, Perlis, Negri Sembilan and Terengganu while the highest number of P. knowlesi was observed in Pahang at 50.6%. P. knowlesi was observed at 5.6% and 2.3% in M. fascicularis and M. nemestrina respectively. Long-tailed (M. fascicularis) and Pig-tailed (M. nemestrina) macaques in Singapore were initially identified as the natural hosts of P. knowlesi. It was observed that out of total 566 monkeys sampled in Narathiwat Province, M. nemestrina (n=5), M. fascicularis (n=1) and Semnopithecus obscurus (n=1) showed presence of P. knowlesi infections. Plasmodium was observed in 6.1% (10/164) of Macaca irus (Macaca fascicularis) samples in the Cebu area of the central Philippines. These positive parasites were inoculated in healthy rhesus monkeys in University of California Medical Center for further observations. P. knowlesi was isolated by showing typical Plasmodium infection signs. The Ministry of Health Malaysia (MOH Malaysia, 2012) reported decrease in human malarial cases in a number of areas within the country. Though, malarial infections are still a major public health concern in East Malaysia and the central regions of Peninsular Malaysia (MOH Malaysia, 2012). A reduction of death cases (16 deaths) in 2012 compared to year 2000 (35 deaths) was also reported (MOH Malaysia, 2012). In 2012, among the total malaria cases reported in Malaysia, P. knowlesi was observed dominant at 38.4% (n=1813) in comparison to other Plasmodium species (MOH Malaysia, 2012). William et al. (2013), reported a significant rise of P. knowlesi cases between 2004 and 2013 in Sabah region of Malaysia. The increase in P. malariae/P. knowlesi were observed from 1% (1992) to 35% (2011). The increase in cases of P. malariae/P. knowlesi was observed throughout the state of Sabah which showed a gradual progression from southwest to the northeast region of the state. The increase in P. malariae/P. knowlesi cases was observed from 703 (2011) to 996 (2013) with an overall 62% of P. malariae/P. knowlesi as compare to 35% (2011) among all malaria reported cases (William et al., 2014). Due to the increase in number of P. knowlesi cases at 38.4% (n=1813) in Malaysia, it is considered the most important form of human malaria in the country. In a study by Vythilingam et al. (2014), similar trend of significant increase of P. knowlesi/P. malariae cases in Selangor, Peninsular Malaysia was observed. In the same study, over the span of 5 years, P. knowlesi/P. 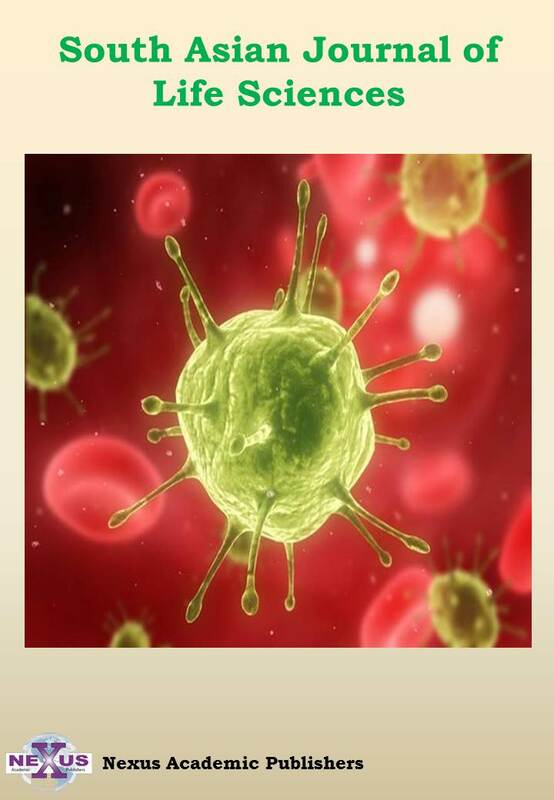 malariae infections were observed mostly in individuals related to agriculture and forestry occupations, which were predominantly young adults aged between 20 – 39 years. An entomological investigation by Vythilingam et al. (2014), revealed that An. introlatus was possibly be an active vector of P. knowlesi transmission in the focused regions. Similar observations were made by Joveen-Neoh et al. (2011) and Naing et al. (2011) at Sabah, where young adults between the age of 20 to 29 years from local forest and plantation regions were found most commonly infected with P. knowlesi. In a study of Yusof et al. (2014), 56.5% of malaria positive blood samples were positive for P. knowlesi among 99.11% of the Plasmodium positive samples. The highest prevalence was observed in Pahang (96.0%), followed by Terengganu (80.0%), while the lowest prevalence observed was in Selangor (16.2%). In a study by Eyles et al. (1962), blood specimens were collected from 84 pig-tailed macaques (Macaca nemestrina) from various localities in Malaysia and examined for the presence of malarial parasites. All samples were subjected to blood smear examination and splenectomy, the samples were observed positive for Hepatocystis semnopitheci (17%), followed by P. inui (15%) and Plasmodium cynomolgi (4%). In the second phase of examination, the infections were sub-inoculated in rhesus monkeys, difference in results were observed in 9/17 monkeys. Two more species which are P. fieldi and P. knowlesi were identified. In the study of Vythilingam et al. (2008), a total of 145 monkeys were sampled among which 98.62% were Macaca fascicularis and one (0.69%) each of Presbytis melalophos and M. nemestrina. Among the monkeys sampled from Kuala Lapis, 97.33% were malaria parasites positive by microscopy which later confirmed 13.3% samples positive for P. knowlesi by PCR. Among the monkeys sampled in Kuala Lumpur, a total of 6.90% were positive for malaria parasites among which none was P. knowlesi positive. All the monkeys sampled in Selangor (41) were observed negative for the presence of P. knowlesi. During the study of flanking region of CSP (Circumsporozoite Protein) genes, it was identified that 97.1% to 99.6% of the isolates shows pair wise similarity to P. knowlesi Nuri strain (M11031). In another study by Lee et al. (2011) in Sarawak (Kapit Division), it was observed that the blood samples collected from 108 wild macaques (82 long-tailed, 26 pig-tailed) from 17 different locations, 94% macaques identified positive for malaria parasites. Among the wild macaques, long-tailed macaques showed higher prevalence of malaria at 98% while pig-tailed macaques showed prevalence of 81%. Furthermore, nested PCR assays of these samples revealed the infections of 5 different species of Plasmodium which were, P. inui (82%), P. knowlesi (78%), P. coatneyi (66%), P. cynomolgi (56%) and P. fieldi (4%). Multiple species infections i.e. one or more species of Plasmodium were observed in 84% (91/108) macaques. Higher prevalence of P. knowlesi was observed in long-tailed macaques (87%) in comparison to pig-tailed macaques (50%). A recent study by Divis et al. (2015), high genetic differences were observed among P. knowlesi isolated from macaque in Borneo and Peninsular Malaysia. In a study by Muehlenbein et al. (2015), Plasmodium parasites isolated from M. fascicularis and M. nemestrina in Sabah showed significant difference suggesting genetic specificity to different host species. There is a high occurrence of P. knowlesi in human, animals and in specific macaques. P. knowlesi was also found in surrounding countries in the region. The alterations in the transmission of P. knowlesi among human and macaques may have occurred because of the changes occurred in forest habitats by human-related activities, industrialization and the changing landscape within and surrounding countries in the region. Awareness of clinicians and health care workers should be made regarding infections, zoonotic and public health significance of P. knowlesi. Surveillance and control measures should be adopted by authorities to counter the prevalence of P. knowlesi among humans and macaques. This study may serve as a template for further investigations of role of macaques in causing zoonitic P. knowlesi. There is no conflict of interest in this review to declare. 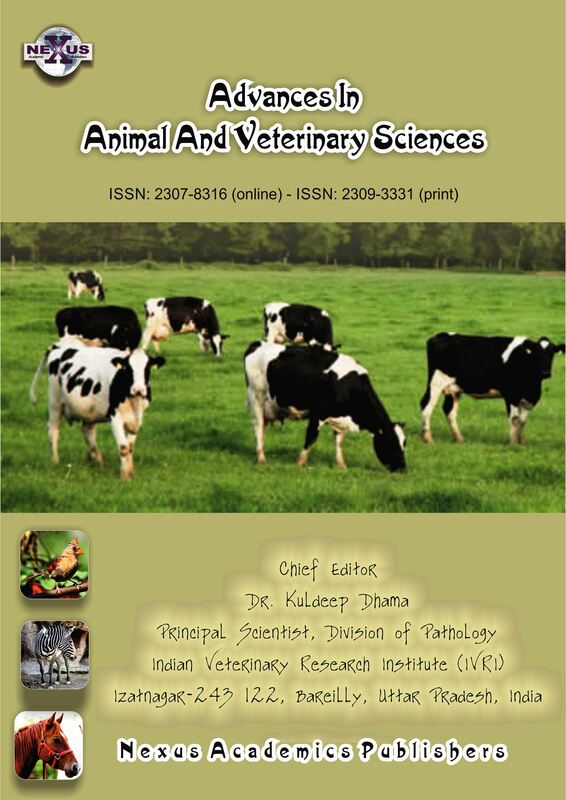 Both the authors contributed equally for plan of review, article collection and manuscript writing. •	Antinori S, Galimberti L, Milazzo L, Corbellino M (2013). 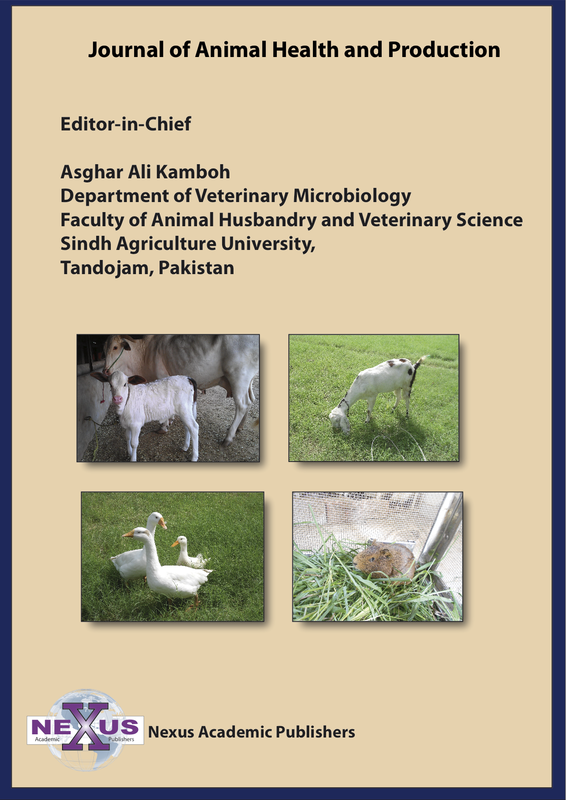 Plasmodium knowlesi: The emerging zoonotic parasite. Acta. Tropica. 125(2):191-201. http://doi:10.1016/j.actatropica.2012.10.008. •	Berry A, Benoit-Vical F, Fabre R, Cassaing S, Magnaval JF (2008). PCR-based methods to the diagnosis of imported malaria. Parasite. 15(3): 484-488. •	Canier L, Khim N, Kim S, Sluydts V, Heng S, Dourng D, Eam R, Chy S, Khean C, Loch K, Ken M (2013). An innovative tool for moving malaria PCR detection of parasite reservoir into the field. Malaria J. 12(405). http://doi:10.1186/1475-2875-12-405. •	Centers for Disease Control and Prevention (2014). Malaria Facts. Atlanta, U.S.A. Retrieved from: https://www.cdc.gov/malaria/about/biology/parasites.html. •	Chin W, Contacos PG, Coatney GR, Kimball HR (1965). A naturally acquired quotidian-type malaria in man transferrable to monkeys. Science. 149(3686): 865. http://doi: 10.1126/science.149.3686.865. •	Chou M, Kim S, Khim N, Chy S, Sum S, Dourng D, Canier L, Nguon C, Menard D (2012). Performance of “VIKIA Malaria Ag Pf/Pan” (IMACCESS®), a new malaria rapid diagnostic test for detection of symptomatic malaria infections. Malaria J. 11(295). http://doi:10.1186/1475-2875-11-295. •	Coatney GR, Chin W, Contacos PG, King HK (1966). Plasmodium inui, a quartan-type malaria parasite of Old World monkeys transmissible to man. J. Parasitol. 52(4): 660–663. •	Coatney GR, Collins WE, Warren M, Contacos PG (1971). The Primate Malarias. Washington D.C.: U.S. Government Printing Office. •	Cogswell FB (1992). The hypnozoite and relapse in primate malaria. Clin. Microbiol. Rev. 5(1): 26-35. •	Collins WE, Sullivan JS, Nace D, Williams T, Williams A, Galland GG, Barnwell JW (2004). Additional observations on the sporozoite transmission of Plasmodium knowlesi to monkeys. J. Parasitol. 90(4): 866-867. •	Connelly CR, Baker RH, Morris CD, Naya JK (1990). Human Malaria. SP134: Pests in and around the Florida Home. •	Cox FEG (2010). History of the discovery of the malaria parasites and their vectors. Parasites & Vectors. 3(1): 5. http://doi:10.1186/1756-3305-3-5. •	Cox-Singh J, Balbir S (2008). Knowlesi malaria: newly emergent and of public health importance? Trends Parasitol. 24(9): 406-410. •	Divis PC, Singh B, Anderios F, Hisam S, Matusop A, Kocken CH, Conway DJ (2015). Admixture in humans of two divergent Plasmodium knowlesi populations associated with different macaque host species. http://doi:10.1371/journal.ppat.1004888. •	Erdman LK, Kain KC (2008). Molecular diagnostic and surveillance tools for global malaria control. Travel Med. Infect. Dis. 6(1): 82-99. doi:10.1016/j.tmaid.2007.10.001. •	Eyles DE, Laing ABG, Warren M, Sandosham AA (1962). Malaria parasites of the Malayan leaf monkeys of the genus Presbytis. Med. J. Malaysia. 17: 85–86. •	Farrugia C, Cabaret O, Botterel F, Bories C, Foulet F, Costa JM, Bretagne S (2011). Cytochrome b gene quantitative PCR for diagnosing Plasmodium falciparum infection in travelers. J. Clin. Microbiol. 49(6): 2191–2195. http://doi:10.1128/JCM.02156-10. •	Fooden J (1982). Ecogeographic segregation of macaque species. Primates. 23(4): 574 –579. •	Fooden J (1994). Malaria in macaques. Int. J. Primatol. 15(4): 573-596. •	Foster D, Cox-Singh J, Mohamad DSA, Krishna S, Chin PP, Singh B (2014). Evaluation of three rapid diagnostic tests for the detection of human infections with Plasmodium knowlesi. Malaria J. 13(60): 10-1186. •	Han ET, Watanabe R, Sattabongkot J, Khuntirat B, Sirichaisinthop J, Iriko H, Jin L, Takeo S, Tsuboi T (2007). Detection of four Plasmodium species by genus- and species-specific loop-mediated isothermal amplification for clinical diagnosis. J. Clin. Microbiol. 45(8): 2521–2528. http://doi:10.1128/JCM.02117-06. •	Hasan AU, Suguri S, Sattabongkot J, Fujimoto C, Amakawa M, Harada M, Ohmae H (2009). Implementation of a novel PCR based method for detecting malaria parasites from naturally infected mosquitoes in Papua New Guinea. Malaria J. 8(1): 182. http://doi:10.1186/1475-2875-8-182. •	Irene LM (2011). Identification and molecular characterisation of simian malaria parasites in wild monkeys of Singapore (Doctoral dissertation). •	Jeslyn WPS, Huat TC, Vernon L, Irene LMZ, Sung LK, Jarrod LP, Singh B, Ching N. L (2011). Molecular epidemiological investigation of Plasmodium knowlesi in humans and macaques in Singapore. Vector-Borne Zoonot. Dis. 11(2): 131-135. http://doi:10.1089/vbz.2010.0024. •	Jongwutiwes S, Buppan P, Kosuvin R, Seethamchai S, Pattanawong U, Sirichaisinthop J, Putaporntip C (2011). Plasmodium knowlesi malaria inhumans and macaques, Thailand. Emerg. Infect. Dis. 17(10): 1799 –1806. http://doi: 10.3201/eid1710.110349. •	Joveen-Neoh WF, Chong KL, Wong CM, Lau TY (2011). Incidence of malaria in the interior division of Sabah, Malaysian Borneo, based on nested PCR. J. Parasitol. Res. 104284. http://doi:10.1155/2011/104284. •	Kantele A, Jokiranta TS (2011). Review of cases with the emerging fifth human malaria parasite, Plasmodium knowlesi. Clin. Infect. Dis. 52(11), 1356-1362. http://doi:10.1093/cid/cir180. •	Kho WG, Chung JY, Sim EJ, Kim MY, Kim DW, Jongwutiwes S, Tanabe K (2003). A multiplex polymerase chain reaction for a differential diagnosis of Plasmodium falciparum and Plasmodium vivax. Parasitol. Int. 52(3): 229 –236. http://doi:10.1016/S1383-5769(03)00028-X. •	Lambrecht FL, Dunn FL, Eyles DE (1961). Isolation of Plasmodium knowlesi from Philippine macaques. Nature. 191: 1117–1118. http://doi:10.1038/1911117a0. •	Lee KS, Divis PC, Zakaria SK, Matusop A, Julin RA, Conway DJ, Cox-Singh J, Singh B (2011). Plasmodium knowlesi: reservoir hosts and tracking the emergence in humans and macaques. PLoS Pathogens. 7(4): e1002015. 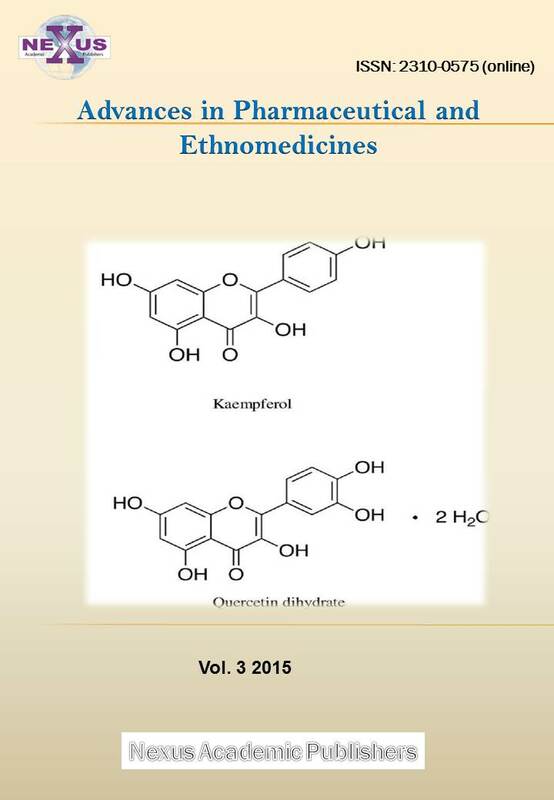 http://doi:10.1371/journal.ppat.1002015. •	Ministry of Health Malaysia (2012). Annual Report 2012. 326pp. •	Moody A (2002). Rapid Diagnostic Tests for Malaria Parasites. Clin. Microbiol. Rev. 15(1): 66-78. http://doi:10.1128/CMR.15.1.66-78.2002. •	Moyes CL, Henry AJ, Golding N, Huang Z, Singh B, Baird JK, Newton PN, Huffman M, Duda KA, Drakeley CJ, Elyazar IR (2014). Defining the geographical range of the Plasmodium knowlesi reservoir. PLoS Neglect. Trop. Dis. 8(3): e2780. http://doi:10.1371/journal.pntd.0002780. •	Muehlenbein MP, Pacheco MA, Taylor JE, Prall SP, Ambu L, Nathan S, Alsisto S, Ramirez D, Escalante AA (2015). Accelerated diversification of nonhuman primate malarias in southeast Asia: adaptive radiation or geographic speciation?. Molecul. Biol. Evol. 32(2): 422-439. •	Murray CK, Bennett JW (2009). Rapid diagnosis of malaria. Interdisciplin. Perspect. Infect. Dis. vol. 2009. Article ID: 415953. http://doi:10.1155/2009/415953. •	Naing DKS, Anderios F, Lin Z (2011). Geographic and ethnic distribution of P. knowlesi infection in Sabah, Malaysia. Int. J. Collaborat. Res. Internal Med. Public Health. 3(5): 391– 400. Retrieved from: http://iomcworld.com/ijcrimph/ijcrimph-v03-n05-07.htm. •	Patsoula E, Spanakos G, Sofianatou D, Parara M, Vakalis NC (2003). 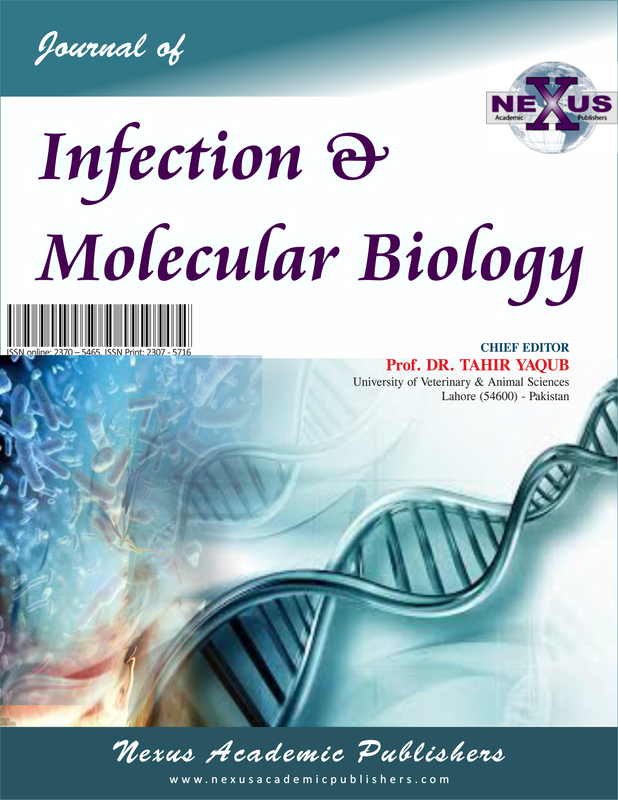 A single-step, PCR-based method for the detection and differentiation of Plasmodium vivax and P. falciparum [Abstract]. Annals Trop. Med. Parasitol. 97(1): 15–21. •	Putaporntip C, Jongwutiwes S, Thongaree S, Seethamchai S, Grynberg P, Hughes AL (2010). Ecology of malaria parasites infecting Southeast Asian macaques: evidence from cytochrome b sequences. Molecul. Ecol. 19(16): 3466–76. http://doi:10.1111/j.1365-294X.2010.04756.x. •	Ramasamy R (2014). 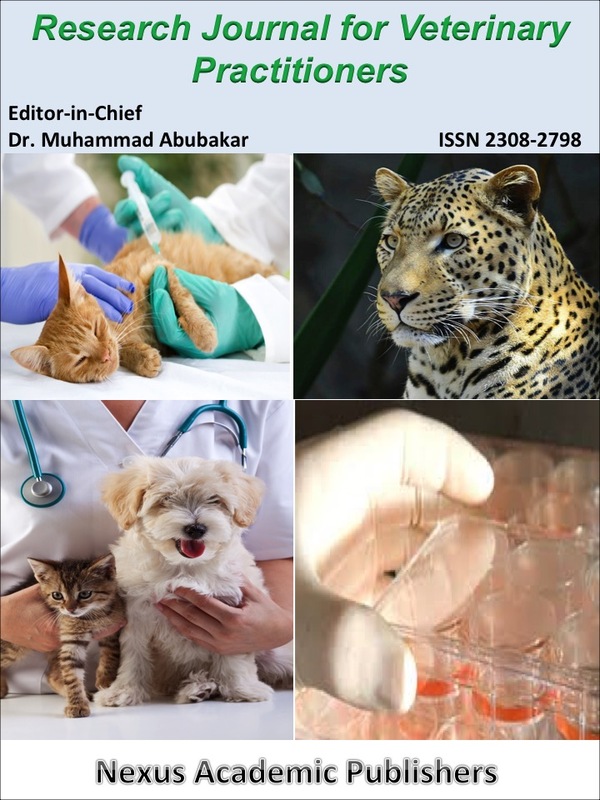 Zoonotic malaria–global overview and research and policy needs. Frontiers Public Hlth. 2. http://doi: 10.3389/fpubh.2014.00123. •	Rich SM, Ayala FJ (2006). Evolutionary Origins of Human Malaria Parasites. In K. R. Dronamraju, and P. Arese (Eds.). Malaria: Genet. Evolut. Aspects (pp. 125-146). New York: Springer. •	Rougemont M, Saanen MV, Sahli R, Hinrikson HP, Bille J, Jaton K (2004). Detection of four Plasmodium species in blood from human by 18S rRNA gene subunit-based and species-specific realtime PCR assays. J. Clin. Microbiol. 42(12), 5636 –5643. http://doi:10.1128/JCM.42.12.5636-5643.2004. •	Singh B, Daneshvar C (2013). Human infections and detection of Plasmodium knowlesi. Clin. Microbiol. 26(2): 165–184. http://doi: 10.1128/CMR.00079-12. •	Singh B, Sung LK, Matusop A, Radhakrishnan A, Shamsul SS, Cox-Singh J, Thomas, A, Conway DJ (2004). A large focus of naturally acquired Plasmodium knowlesi infections in human beings. The Lancet. 363(9414): 1017-1024. http://doi:10.1016/S0140-6736(04)15836-4. •	Steenkeste N, Incardona S, Chy S, Duval L, Ekala MT, Lim P, Hewitt S, Sochantha T, Socheat D, Rogier C, Mercereau-Puijalon O (2009). Towards high-throughput molecular detection of Plasmodium: new approaches and molecular markers. Malaria J. 8(1): 86. http://doi:10.1186/1475-2875-8-86. •	Ta TH, Hisam S, Lanza M, Jiram AI, Ismail N, Rubio JM (2014). First case of a naturally acquired human infection with Plasmodium cynomolgi. Malaria J. 13(1): 68. http://doi:10.1186/1475-2875-13-68. •	Tangpukdee N, Duangdee C, Wilairatana P, Krudsood S (2009). Malaria diagnosis: A brief review. Korean J. Parasitol. 47(2): 93-102. http://doi:10.3347/kjp.2009.47.2.93. •	Tavares RG, Staggemeier R, Borges ALP, Rodrigues MT, Castelan LA, Vasconcelos J, Anschau ME, Spalding SM (2011). Molecular techniques for the study and diagnosis of parasite infection. J. Venom. Anim. Toxins Trop. Dis. 17(3): 239-248. •	Thayer AM (2005). Fighting malaria. Chem. Engineer. News. 83(43): 69-82. •	Tsukamoto M, Miyata A (1978). Surveys on simian malaria parasites and their vector in Palawan Island, the Philippines. Trop. Med. 20(1): 39 –50. •	Vythilingam I, Lim YA, Venugopalan B, Ngui R, Leong CS, Wong ML, Khaw L, Goh X, Yap N, Sulaiman WYW, Jeffery J (2014). Plasmodium knowlesi malaria an emerging public health problem in Hulu Selangor, Selangor, Malaysia (2009-2013): epidemiologic and entomologic analysis. Parasites & Vectors. 7(1): 436. http://doi:10.1186/1756-3305-7-436. •	Vythilingam I, Noorazian YM, Huat TC, Jiram AI, Yusri YM, Aza hari AH, Parina I. N, Rain AN, LokmanHakim S (2008). Plasmodium knowlesi in humans, macaques and mosquitoes in Peninsular Malaysia. Parasites & Vectors. 1(1): 26. http://doi:10.1186/1756-3305-1-26. •	Warhurst DC, Williams JE (1996). Laboratory diagnosis of malaria. J. Clin. Pathol. 49(7): 533-538. •	White GB (1982). Malaria vector ecology and genetics. Brit. Med. Bull. 38(2): 207–212. •	White NJ, Pukrittayakamee S, Hien TT, Faiz MA, Mokuolu OA, Dondrop AM (2014). Malaria. Lancet. 383: 723-735. http://doi:10.1016/S0140-6736(13)60024-0. •	William T, Jelip J, Menon J, Anderios F, Mohammad R, Mohammad TAA, Grigg MJ, Yeo TW, Anstey NM, Barber BE (2014). Changing epidemiology of malaria in Sabah, Malaysia: increasing incidence of Plasmodium knowlesi. Malaria J. 13: 390. http://doi:10.1186/1475-2875-13-390. •	William T, Rahman HA, Jelip J, Ibrahim MY, Menon J, Grigg MJ, Yeo TW, Anstey NM, Barber BE (2013). Increasing incidence of Plasmodium knowlesi malaria following control of P. falciparum and P. vivax Malaria in Sabah, Malaysia. PLoS Neglect. Trop. Dis. 7(1): e2026. •	World Health Organization (2014). World Malaria Report 2014. Geneva, Switzerland. Retrieved from: http://www.who.int/malaria/publications/world_malaria_report/en/. •	Yusof R, Lau YL, Mahmud R, Fong MY, Jelip J, Ngian HU, Ali MM (2014). High proportion of knowlesi malaria in recent malaria cases in Malaysia. Malaria J. 13(1), 168. http://doi:10.1186/1475-2875-13-168. •	Zhang X, Kadir KA, Quintanilla-Zariñan LF, Villano J, Houghton P, Du H, Singh B, Smith DG (2016). Distribution and prevalence of malaria parasites among long-tailed macaques (Macaca fascicularis) in regional populations across Southeast Asia. Malaria J. 15(1): 450.